The Anthem Series of pillow top mattresses combines perfect comfort and support to keep your spinal alignment intact. All Anthem models feature full foam encasement which delivers superior edge performance and overall mattress stability, as well as increasing the usable sleep surface by 14%. Sophisticated “circular knit” panel covers are used to enhance surface conformability, comfort and durability. Soy-based upholstery grade foams are carefully layered with an ascending support strategy to deliver quality, comfort and durability. 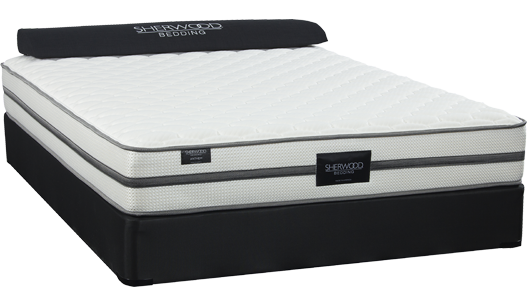 The Anthem Series of mattresses are available in Firm, Plush and Pillow Top models.